Anyone who has travelled with kids before can confirm that they can cause a huge distraction, especially if they are arguing or complaining on the backseat. This could be as a result of boredom or hunger and handling it can be such a hassle. It is quite interesting to note that there are several other common distractions that you can face on the road and so as the chances of an accident while traveling with your children. For instance, a recent research has revealed that over 1.5 million car accidents occur annually due to driver distraction. 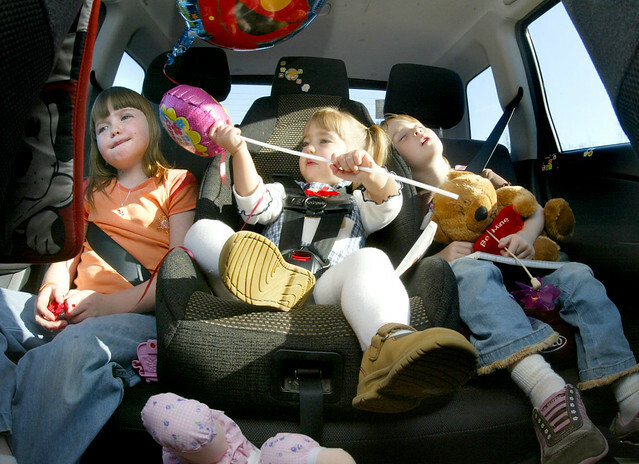 Surprisingly, nearly 25 percent of these accidents are attributed to driver distraction caused by kids. Fortunately, the following tips will surely help you maintain your focus while travelling with your children. Usually, bored and impatient kids tend to ask a lot of questions that might take your focus away from the road. Such questions might be based on how long the journey is or any other subject that might steal your focus. While it’s true that edgy kids are a common cause of distraction for any driver, keeping them occupied with toys, travel games and books is the best solution. This is one of the most important ways of minimizing distraction while travelling with children, especially during long drives. For instance, you should plan on taking regular breaks to reduce occurrence of distractions caused by fatigue, boredom, hunger or the need to use a wash room. Also, you can use such breaks to have meals or snacks instead of drinking and eating or passing foods and drinks while you’re driving because it can keep your hands away from the driving wheel. 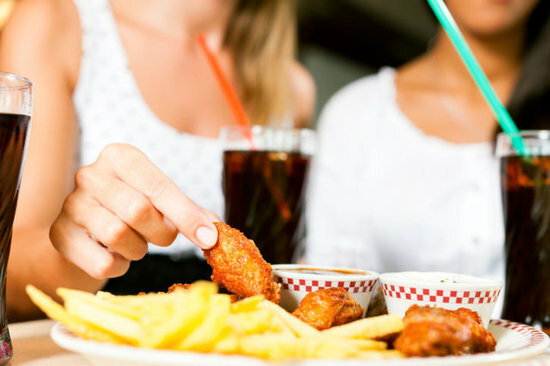 Additionally, eating or drinking in the car can result in choking dangers for your kids or for you as the driver. Taking of care of your kids and other occupants of the vehicle you’re driving is more important than picking up your calls or using your phone while driving. There is always the right time to make a phone call or use your phone for any other reasons, especially while you are on a break or when another person is driving. However, if it’s absolutely urgent for you to use your phone, the most prudent ideas would be to use a hands-free headset or a Bluetooth module. As much you’ll still be feeling distracted, you’ll be able to keep your hands on the driving wheel. 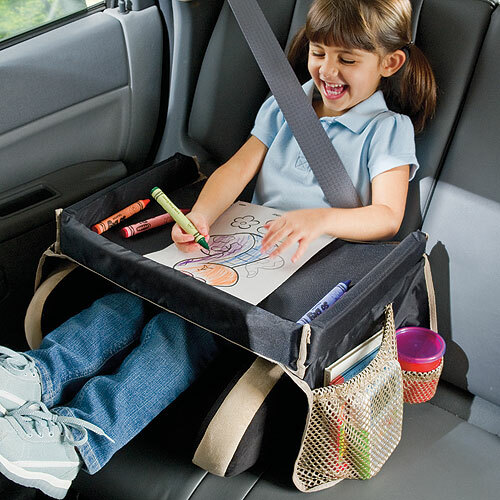 Children usually require booster or safety seats to enhance their safety apart from other things like sufficient space for proper accommodation of their most crucial safety equipment. Actually, a hybrid car is the best option for this given that it has a good number of integrated precautionary features to increase your kids’ safety. While maintaining high levels of road safety and performance, hybrid cars are capable of addressing all the important issues with your children that might cause distraction. As mentioned earlier, distracted driving mainly accounts for the increasing road carnage’s that in most cases result in fatalities. However, with the above mentioned crucial tips, you can reach you destination with your children happy and safe. Melissa Davis is a travel addict from Australia. She usually keeps her stories and travel experience for friends and family only. However this time she made an exception and shared her story with us. Her greatest wish is to travel the world,learn about other cultures first-hand, meet all sorts of interesting people.Melissa lives in brisbane with her husband and young daughter where she enjoys parenting, cycling, and other extreme sports..
Melissa Davis is a travel addict from Australia. She usually keeps her stories and travel experience for friends and family only. However this time she made an exception and shared her story with us. Her greatest wish is to travel the world, learn about other cultures first-hand, meet all sorts of interesting people. Melissa lives in brisbane with her husband and young daughter where she enjoys parenting, cycling, and other extreme sports..